Please type the teachers name for the top of the pot, eg ‘Miss Parker’ If not needed please leave blank. If you would like a custom poem for the middle please type below. If you want the original poem as shown in the pictures of the product please LEAVE this box BLANK. 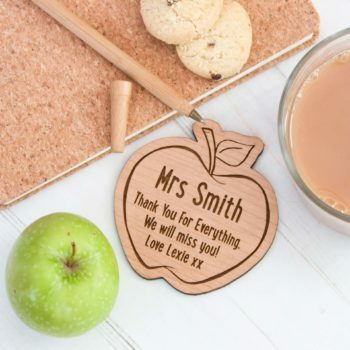 NEED THESE FOR END OF TERM? WE ARE MAKING AND POSTING THESE DAILY SO NOT TO WORRY ! 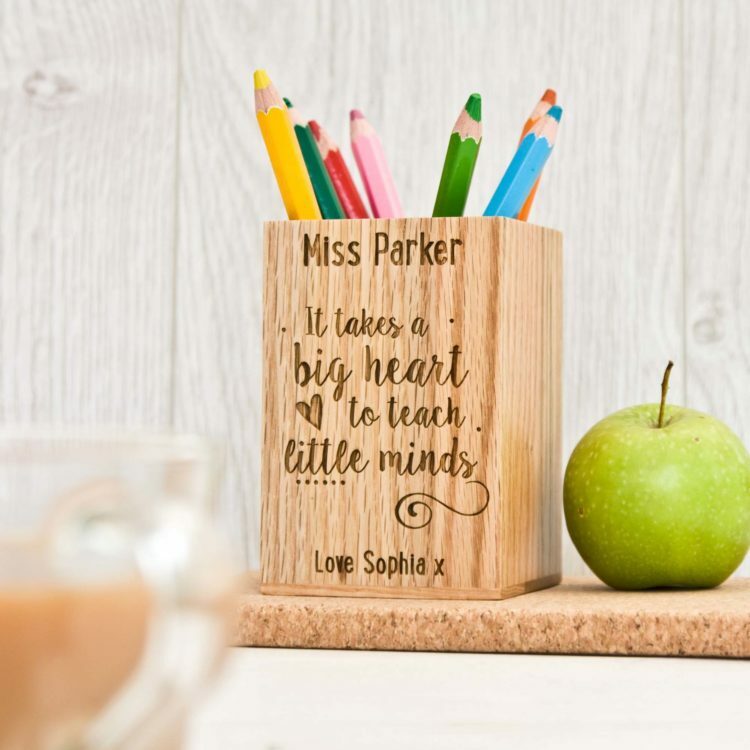 What finishes off a teachers desk than a Solid Oak pencil pot. Complete with personalised message. 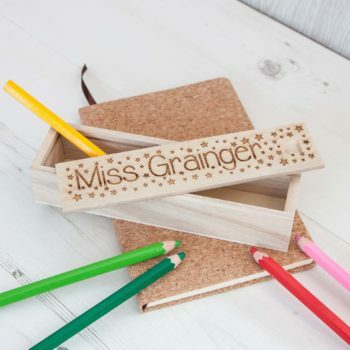 The pot is a 8cm x 8cm then 12cm tall wooden pot perfect for all those spare pens and pencils. 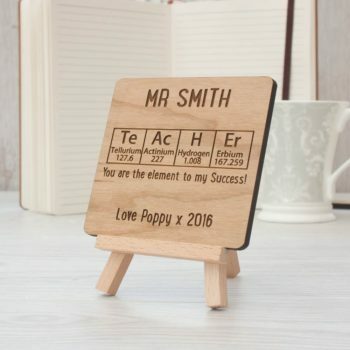 This gift will sure remind every one who the desk belongs to. The pot if finished with a personalised message and varnished to add that extra touch of quality.